Amitabh Bachchan was born to a renowned poet Harivansh Rai Bachchan and Teji Bachchan. He finished his studies from U.P. and shifted to Mumbai in search of a livelihood in movies. But he could not succeed earlier since the film-makers considered him unfit for their movies.He was only considered for background commentary. Finally, he succeeded in bagging a movie named “Saat Hindustani” and this is how his journey in films began. 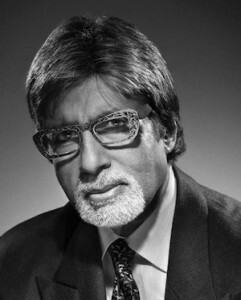 Later, he married Jaya Bhaduri and had two children Shweta and Abhishek. After taking some break, when he returned in movies, he had to taste defeat . The film critics declared that his career is over. But his career was revived with the movie “Bade Miyan Chote Miyan”. But the year 1999 proved to be worse for him as his four movies were flopped at the box office and he suffered debts of more than 90 Crores rupees due to his company ABCL. But as the saying goes that “Every Cloud Has A Silver Lining”, he was successful in recovering from this unpleasant situation. He got an offer of hosting the quiz show “Kaun Banega Crorepati” which he gladly accepted. Since then there has been no looking back and he gave many hit films to the audiences. Steve Jobs – The Man Who Moulded Apple Inc.